Star Wars Spoofs (2011, Approximately 91 minutes)–The farce is strong with this one. Enjoy a hilarious collection of Star Wars spoofs and parodies that have been created over the years, including outrageous clips from Family Guy, The Simpsons, How I Met Your Mother and more. And don’t miss “Weird Al” Yankovic’s one-of-a-kind music video tribute to The Phantom Menace. Star Wars Tech (2007, Approximately 46 minutes)–Exploring the technical aspects of Star Wars vehicles, weapons and gadgetry, Star Wars Tech consults leading scientists in the fields of physics, prosthetics, lasers, engineering and astronomy to examine the plausibility of Star Wars technology based on science as we know it today. Star Wars is an epic space film created by George Lucas. Over the decades, it has attracted quite a large fan base with its imaginative galaxy and creatures. Since the release of the first film, “Episode IV: A New Hope”, in 1977, it became a worldwide phenomenon. “Episode V: Empire Strikes Back” and “Episode VI: Return of the Jedi” were released in 1980 and 1983, respectively. Although there was a sixteen year gap between the last movie of the sequel trilogy and the first of the prequel trilogy, Stars Wars was so successful that it captured loyal fans who eagerly awaited the next three episodes. Of course, enough time had passed so that a whole new generation of fans began to discover the Star Wars phenomenon. Once more, the films were released with three-year intervals between each, starting in 1999 with “Episode I: The Phantom Menace” and followed by “Episode II: Attack of the Clones” and “Episode III: Revenge of the Sith” in 2002 and 2005, respectively. Some may not know that George Lucas actually wrote all six episodes at once but later decided to make the last three films first. Although the sequel trilogy was easier and cheaper to make, this was not the main reason he released the series as such. If it were, he would have made the prequels much earlier rather than wait an additional sixteen years! Indeed, as George Lucas had intended, the special effects that were possible in the first three Episodes with the advancement of technology were magnificent, more realistic, and definitely worth waiting for. 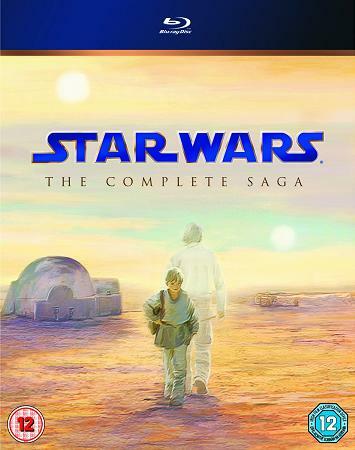 During the long interim between the film trilogies, however, the Star Wars phenomenon was kept alive through a whole range of media franchise including books, video game, television series, and comic books. Together, these became known as the Star Wars Expanded Universe because their storylines continued to extend the original fictional universe. Over the years, George Lucas has also used new special effects technologies for altering special edition and DVD/Blu-Ray releases. By 2008, Star Wars had earned roughly $4.41 billion dollars in box office revenue, making it the third-highest grossing film series after the widely successful Harry Potter and James Bond movies, respectively. In the same year, the first Star Wars film outside the original series hit theaters worldwide. Star Wars: Clone Wars was also meant to be the start of a new series for the Expanded Universe franchise. Unlike the others, this one is an animation film. Star Wars takes place in a galaxy with many different types of planets and native species. With every planet, viewers meet the most unusual inhabitants, from grimy to cute, as George Lucas constantly introduces original species throughout the six episodes. Most alien creatures are humanoids and frequently appear in all Star Wars media. Robotic droids are also widespread and can be built to provide various services for their owners, from household chores to military functions. As a technologically advanced galaxy, transportation and communication is widely available. Plus, it is generally civilized as most planets are members of the Galactic Republic, an originally democratic union that is gradually manipulated into an autocracy and renamed the Galactic Empire as the Dark Force takes over. The “Force” is an omnipresent energy, which can only be harnessed by those with a natural ability, the Jedi. The “Force” is perhaps most popular concept among fans and is frequently used in phrases, such as “The Force is strong in this one”, which is used to determine who has the Jedi abilities, or “May the Force be with you” as a farewell. Jedi can gain abilities like mind control, and telekinesis, precognition, and many more supernatural abilities. They can also heighten physical facilities, like reflex and speed. There are various abilities that the Jedi can harness from the Force, but ultimately, each individual Jedi has his own natural skills as well as strengths and weaknesses. Generally, Jedi should be trained from a young age to be able to control the Force effectively. Although the Force has great powers that can be used for good deeds, it has an equally powerful dark side that is full of hatred and violence. In the film series, while the Jedi employ the Force to do good, the Sith uses it for his evil plot to manipulate and rule the galaxy. In the Expanded Universe, however, Dark Jedi are also featured because of the even more complex storylines of the galaxy.